Your app is as successful as you want to make it. The first thing that has to be taken into consideration is – you need to understand your app audience. Analysts estimate that more than 60% of time a user takes out his or her smartphone, it’s not for making a call, rather it is for using an app. Such is the magnitude of apps and with the growing popularity of apps, one has a very fair chance of earning money through mobile applications. Why is your app special and why should people purchase it? What would be the most effective strategy? What strategies are your competitors using? As an app developer, you should figure out the strategy that would be used to bring revenues through the app. There are strategies that allow app makers to earn money within a few days, while there are other strategies that first bring users to the app and increase the number of downloads. Afterwards, they focus on generating revenues. 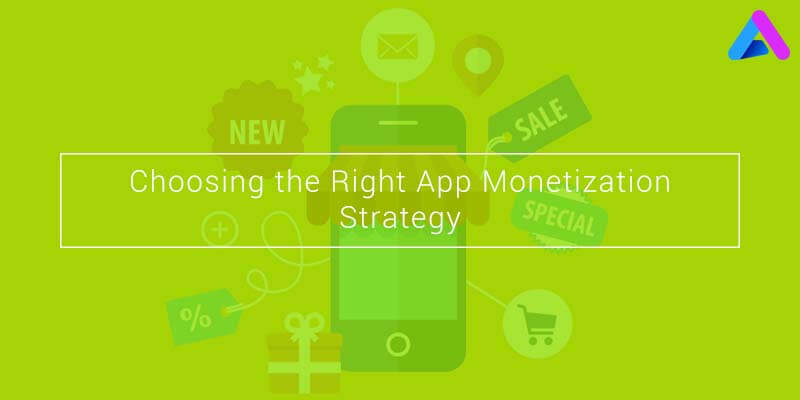 It is essential to remember that even before your app launches in app stores, the app monetization strategy should be built in the app. We would look at a few tried and tested app monetization strategies. Paid App –It is one of the most common strategies and these apps are available for download at a price. But remember that these apps would only get downloads if they are highly recommended or they have extraordinary features. In-app Advertising –Almost all the free apps use this strategy. These apps use advertisements to earn revenues, but app makers have to be quite careful while incorporating these ads to user experience intact. Freemium – This strategy works on a clever trick and let the users use the basic features of the app for free, but it charges for the premium features. App makers let the users get attracted to the app and afterwards, when the users are engaged to the app, they make the users pay for the additional tools. In-app Purchase – Such a strategy works for both freemium and paid apps and allows the user to purchase more and more physical and virtual goods to reach higher levels easily. App makers have to be very careful while developing a strategy as each and every businessman has a desire to earn money, but at the same time, they have to be very careful enough not to destroy the user experience. The first priority should be to attract the maximum number of users and that simply means a good number of downloads. It is but obvious that you would be able to fully implement your app monetization strategy only once you have a decent number of users. All these planning has to be done in advance, i.e. the stage your app hasn’t hit the app stores. One of the most common ways to earn revenue is to use the concept of in-app advertising. Users don’t have to pay anything for app download, but you will include advertisements in the app which would fetch revenue for you. But you have to be very careful while displaying those advertisements as too many ads would complicate things and ultimately users would be bound to abandon it. With the increasing number of smartphone users, in –app advertising is one of the most effective ways to earn money. Companies also want to get them featured on good apps and hence you have a fair chance of earning a good amount. You can use any app monetization strategy that fits your business model, though, always keep in mind that user experience is the most important factor and any strategy should not come at the stake of user experience.